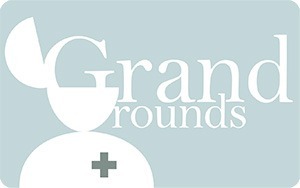 Another Grand Rounds is up. This time over at Laika’s MedLibLog, and once again, one of my posts has been put up. Thanks for giving me some jostling space with the most wonderful bloggers on healthosphere! Meanwhile, today is Diwali, the celebration of lights (and sounds), and hence ever since I woke up, my Mom has been on my case (yes, I still live with my parents – thanks for noticing!) to clean my room, but thanks to the really great round up, I have now spent close to 2 hours online, reading various posts, commenting on them and in general, procrastinating the unpleasant work of cleaning out my room! Anyways. If you too want to have a good time reading about the best offerings from all over the webverse, head over to Laika’s and get stuck into the feast! Cheers! Tags: Amit Gupta, Grand Rounds, PostADay2011. Bookmark the permalink. Previous post ← OAW 2011: So You Hit A Paywall? Thanks for your humorous post. At least it is good to know that such a Grand Grand Rounds helped to procrastinate…. But I really admire you for spending 2 hrs reading the post incl. commenting. Not many other people would do the same. Hey come on! You wrote an incredible round up! Least I could do is peruse the blogs concerned. Came across a couple of new blogs and subbed to them. Thanks!